tourists from all over the world. 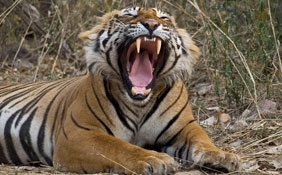 Speaking of best wilderness in India, you will be reminded of the best national parks in India that are well known for its unique collection of tigers. 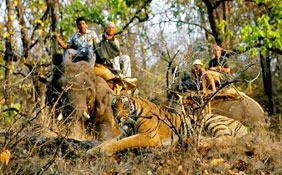 The Bandhavgarh National Park in Madhya Pradesh, Corbett National Park in Uttarakhand, Jim Corbett National Park, Kaziranga National Park in Assam, Kanha National Park in Madhya Pradesh, Manas National Park in Assam, Sundarbans National Park in West Bengal and Ranthambore National Park in Rajasthan. You must visit these wildlife sanctuaries to spot the wild tigers in their natural habitat. Who knows you may even spot some white tigers here! 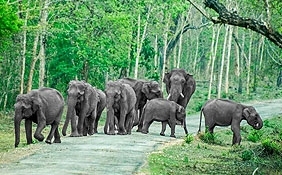 Other famous wilderness spots in India include Anshi National Park in Karnataka, Balphakram National Park in Meghalaya, Bandipur National Park in Karnataka, Betla National Park in Jharkhand, Campbell Bay National Park in Andaman and Nicobar, Chandoli National Park in Maharashtra, Desert National Park in Rajasthan, Dibru-Saikhowa National Park in Assam, Dudhwa National Park in Uttar Pradesh, Gangotri National Park in Uttarakhand and Gir National Park in Gujarat. These places are specially recommended to those tourists who have a special niche for adventure and thrill. 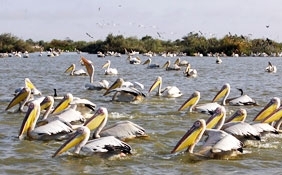 The Bharatpur Bird Sanctuary is a bird watcher' paradise. You can find a variety of birds in this sanctuary. 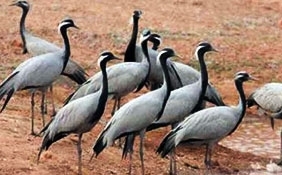 Photographers can have a great time taking photographs of the rare species of birds found here. Apart from the wide range of fauna, a rich collection of herbs, shrubs, trees and flowers are also found in these wilderness areas of India. 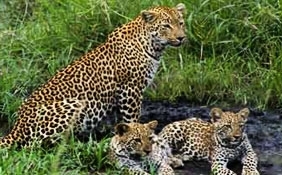 Some of the popular areas where you can find a rich blend of rare flora and fauna are Govind Pashu Vihar in Uttarakhand, Great Himalayan National Park in Himachal Pradesh, Gugamal National Par in Maharashtra, Hemis National Park in Jammu and Kashmir, Mahatma Gandhi Marine National Park in Andaman and Nicobar, Mouling National Park in Arunachal Pradesh and Namdapha National Park in Arunachal Pradesh.